This week's title is a play off of 'get art.give hope' and our featured charity. 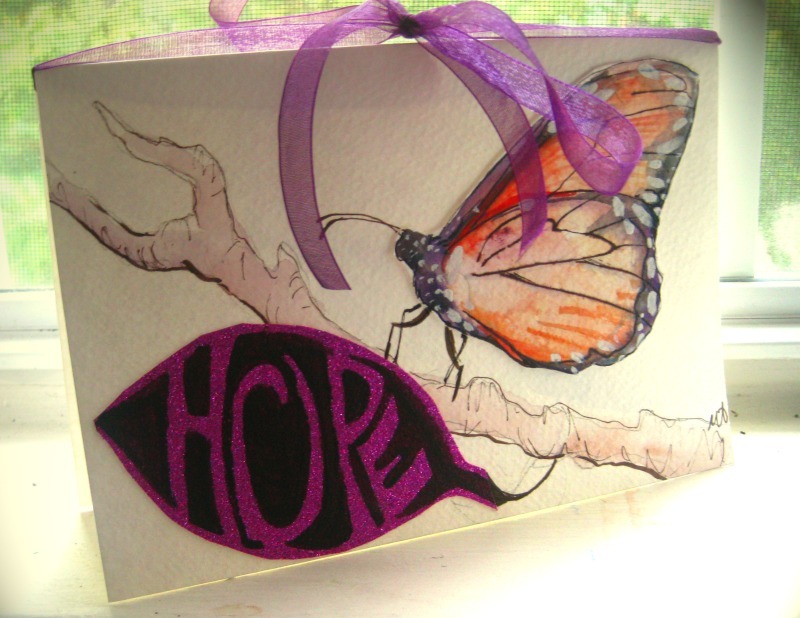 This month LC is donating $5 of the featured "wings of hope" card to help fight Lupus. We are donating to a great charity called the Dorough Lupus Foundation, founded by Howie Dorough after the passing of his sister to Lupus. (For more information please visit www.doroughlupusfoundation.org) I really do believe in our little slogan 'get art.give hope' and I guess thats how it came about so naturally. By getting art from Lisscat Creations, you are helping to give hope to the charity we are donating too. You are also giving hope and inspiration to the soon to be receiver of the card you purchased. May sound cheesy, but we really can help fight this Lupus with a paintbrush! Please consider picking up one of these cards over the next week. Maybe you have a friend or family member effected by Lupus. One of my 'adoptive grandma's out in Arizona is living with Lupus everyday. She is a strong and beautiful woman and is a shining example of hope! I hope this card can touch you or someone you know. Right now we are at $15 raised for DLF, thanks to all of you who have contributed. Thanks Flavio, I appreciate the feedback!